Young entrepreneurs are changing the face of Africa. Forbes set out to produce a list of the 30 Africans under 30 years old who are making the most dramatic impact across the continent. Rapelang made the list. 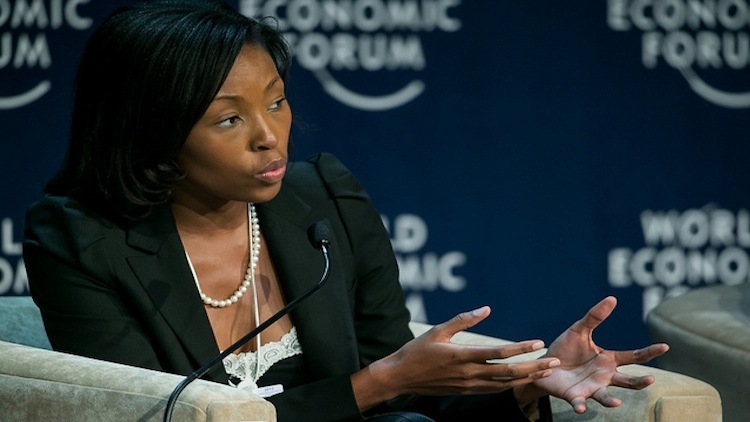 Rapelang Rabana, 28 is the CEO and founder of Yeigo Communications, an innovative Cape Town-based company which develops software for telecoms-related services including Voice over IP, Instant messaging, SMS messaging and push email services. In 2008, Telfree, a Swiss mobile telecommunications firm acquired a 51% stake in Yeigo. Liebmann, 28, is the Managing Director of Propertuity, a South African Real Estate development company and the brains behind the construction of the Maboneng Precinct, a thriving cultural district in the east side of Johannesburg’s CBD. Once a neglected and deteriorating neighborhood housing abandoned industrial complexes, Liebmann transformed Maboneng into a vibrant urban mixed-use community complete with Art galleries, artist studios, retail spaces, offices and artist studios. Nine years ago, Patrick Ngowi, 28, received a small loan from his mother to start off a business. He started off selling Chinese mobile phones, but when he discovered that a tiny fraction of Tanzanians enjoyed any access to stable and reliable electricity, he knew he had to rectify that problem. Ngowi set up Helvetic Solar Contractors Limited, a company that is a pioneer in the supply, installation and maintenance of solar systems throughout the Northern Circuit of Tanzania. Helvetic Solar Contractors is the first company in the Northern Circuit to cater for Solar needs. The company did about $3 million in revenues last year. Stanford, 28, is a software entrepreneur and venture capitalist. Seven years ago, he cornered the exclusive and lucrative distribution rights for ESET, a Slovakian anti-virus software package. Today, Stanford’s ESET Southern Africa operates the ESET brand in the region and sells ESET’s range of internet security products in about 20 sub-Saharan countries, recording over $10 million in annual turnover. He controls about 5% of the anti-virus market in Southern Africa. Stanford is also the founder of 4Di Capital, a Cape Town-based venture capital fund. Both in their late 20s, Kimiti Wanjaria and Ian Kahara are part of a group of four co-founders of Serene Valley Properties (SVP), a Real Estate development company in Nairobi that constructs and sells residential properties to Kenya’s ever-growing middle class. SVP is behind the development of Sigona Valley project, a KSh350m (US$4.2m) gated residential community outside Nairobi. Wadongo, a 26 year-old Kenyan engineer designed a solar-powered LED lantern called MwangaBora (Swahili for “Good Light”), an invention which is fast replacing smoky kerosene lamps and firelight in rural Kenya. Wadongo has been distributing thousands of these lanterns throughout rural Kenya where there is little or no electricity. His organization, Sustainable Development For All (SDFA) sponsors an empowerment initiative that teaches poor Kenyans how to reproduce these solar lanterns and sell for profit. Marishane, 21, is the founder of Headboy Industries, a South African company which developed and owns the patent for Drybath, the world’s first germicidal bath-substituting skin lotion/gel. The 26 year-old Kenyan entrepreneur is the founder of Stawi Foods and Fruits, an innovative start-up which procures bananas from smallholder farmers in rural Kenya and processes them into banana flour. Mwale who is 20 years old runs SkyDrop Enterprises, a rainwater filtration and bottling company which produces low-cost purified drinking water, milk and other dairy products in Kenya. Mwale founded Skydrop in December 2009 and the company now employs over 20 people. The trio founded Jobberman, Nigeria’s biggest job search engine and aggregator. Jobberman went live in August 2009, and today the site attracts over 50,000 unique users each day. Through simple, yet cutting-edge technology, Jobberman helps link qualified personnel to the right job opportunities. Jobberman is one of the few companies in Nigeria’s tech space that enjoy venture capital backing. Nigerian geek Oluwaseun Osewa is the founder of Nairaland, Africa’s largest online forum. He founded the site in March 2005 as a general purpose discussion forum with a bias towards issues of interest to Nigerians. The site took off. Nairaland now has close to 1 million registered users and is the most popular Nigerian website today. For perspective: In Nigeria, Nairaland gets more visits than Wikipedia. Nairaland earns its revenue through its ad inventory. Ashley Uys’ company, Medical Diagnostech develops and markets affordable and reliable medical test kits for malaria, pregnancy, syphilis, malaria, HIV/ Aids for South Africa’s rural poor. The company’s Malaria pf/PAN (pLDH) Test kit can reportedly detect all strains of malaria and indicate within 30 minutes whether the malaria treatment provided is effective. Last November, Medical Diagnostech won $120,000 in prize money at the SAB Foundation 2nd Annual Social Innovation Awards. Uys is 29. Sandra Appiah, 23 and Isaac Boateng, 28, both Ghanaian nationals are the founders of Face2Face Africa (F2FA), a New York city-based new media company with a mandate to restore Africa’s image within the global community. The company has three divisions: an outfit that publishes a magazine which explores African development, culture, entertainment and fashion, an events business and a thriving website. Jideonwo and Williams are co-founders and Partners of Red Nigeria- a leading full service media-content, communication and Development Company in Nigeria. The firm also owns The Future Project (TFP) – a strategic social enterprise/change communications firm which hosts theannual Future Awards, Nigeria’s most important awards for outstanding young Nigerians. Mark Kaigwa, 25 is a multi-talented creative director, filmmaker, digital marketer and entrepreneur. Kaigwa is a co-founder and partner at Afrinnovator, a venture which aims to put Africa on the map by publishing exploits across African innovation, technology and start-ups. He is also Partner at African Digital Art – the web’s leading resource for creative inspiration in animation, illustration, photography and design from Africa. Last year, Arthur Zang, a 25 year-old Cameroonian engineer invented the Cardiopad, a touch screen medical tablet. With the Cardiopad, heart examinations such as the electrocardiogram (ECG) can be performed at remote, rural locations while the results of the test are transferred wirelessly to specialists who can interpret them. The device spares African patients living in remote areas the trouble of having to travel to urban centers to seek medical examinations. The Cardiopad is expected to become commercially available in 2013. The 28 year-old is one of Southern Africa’s best-known young fashion designers. After completing his studies at the London International School of Fashion he landed his first job as head designer at Vlisco, a Dutch textile company. He quit shortly afterwards to launch his eponymous self-titled clothing label which designs, manufactures, and markets delicately crafted women’s clothing. The Zimbabwean-born media personality and Internet entrepreneur is the founder of Farai Media, an Africa-focused online mobile and advertising platform. She is also a co-Founder of AfricaTripDeals, a global distribution system for travel to Africa.